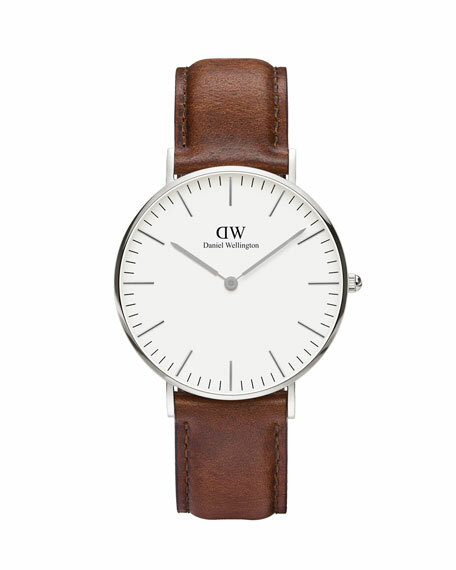 Daniel Wellington "Classic St Mawes" watch. Plated stainless steel case, 36mm. Eggshell white dial with baton hour markers.